Shortly after finalizing the following letter, I received the shocking news, which has now been publicly reported, of the attack on one of our students in Next House earlier this week. Our support teams for students responded promptly and have remained deeply engaged. I have asked Chancellor Phil Clay to conduct a thorough review of security measures in our residence halls, as the safety of our students and community is of the utmost importance. I am heartened by the progress our student has shown in his recovery, and I wish him a quick return to full participation in our community. With the new semester well under way, I write to update you on some recent activities on campus, and to provide a short "State of the Institute," for those who may not have attended that event at the beginning of the month. The academic year began with the wonderful burst of energy our new students bring to campus each fall semester. As I walked through the residence halls welcoming new students and their parents to campus, I recalled my "freshman year" at MIT, now almost three years ago. Like so many members of the Class of 2011, I had some difficulty navigating the numerical nomenclature along the infinite corridor, had many new professors to meet, and was impatient to gain a familiarity with the Institute's people and traditions. Since then, my respect and admiration for MIT have grown exponentially. I've also figured out the numbering of the Bosworth buildings. MIT has a stellar history of contributions to engineering and science, but also to the humanities and social sciences, business, architecture and the arts. Today's Institute builds on the success of our predecessors, and our pace of discovery has accelerated rapidly. In the last three years alone, MIT researchers have designed a "stackable car" that could revolutionize urban planning; created a new form of matter, winning a heated race among physicists; engineered yeast that can speed the production of the biofuel ethanol; and developed an award-winning show for NOVA that has educated millions of people about the origins of the cosmos, to cite only a few examples of our work. The extraordinary brilliance and productivity of our faculty, students and staff make these – and many more – contributions to humanity possible. In recognition of their achievements, three members of the MIT community were awarded the nation's highest science and technology honors in July. Institute Professor Robert Langer and Lester Wolfe Professor of Physics Emeritus Daniel Kleppner won the National Medal of Science, bringing to 47 the number of MIT scientists to win the medal, and President Emeritus Charles Vest joined four engineers and inventors from MIT who have previously won the National Medal of Technology. We opened the year with our first MIT Community Picnic on Killian Court. Well over 5,000 people attended the picnic, and the positive responses reminded me of the importance of informal opportunities to bring us together as a community. I hope many of you enjoyed the first of its kind multiday science festival last April. Spearheaded by John Durant and the MIT Museum, the Cambridge Science Festival took place at sites throughout the city and our campus. The festival attracted more than 15,000 adults and children and represented a wonderful collaboration between MIT, the City of Cambridge and its library and public schools, Harvard University, the Museum of Science and WGBH public television and radio. The program featured the world's largest model of the human genome and included more than 150 events celebrating science and technology in a city world famous for discovery and invention. Many of the programs, exhibitions, activities and performances involved MIT alumni and students who generously volunteered their time and talent. Planning is already under way for an even more expansive Cambridge Science Festival for 2008. In addition to these new events we have preserved and expanded traditional gatherings that bind us with past generations of MIT graduates. More than 3,400 alumni and guests returned to campus in June for Tech Reunions 2007, a record reunion attendance for the Institute. They enjoyed close to 140 events, including the 110th annual Tech Night at the Pops, the annual Reunion Row and Technology Day presentations on energy. Encouraged by the Administrative Advisory Council II (AACII), in early October we returned to the tradition of holding a State of the Institute Forum. Open to the entire community, the forum provided a venue for senior Institute leaders to share our goals and to hear from the community in a question and answer period. Each fall the campus comes alive with the excitement of arriving freshmen and new graduate students who bring vitality and a renewed sense of discovery to MIT. This year's freshman class will graduate in 2011, an important year in the Institute's history – our sesquicentennial (or 150th) anniversary. This class comes to MIT through an exceedingly competitive admissions cycle, with applications for admission increasing 9% over the previous year, to 12,445. A record 69% (1,069) of the 12.3% of students admitted chose to enroll. The Class of 2011 includes 46% women and 22.2% students from underrepresented groups. The new class also reflects great international diversity, hailing from 58 countries. Our graduate students make critical contributions to our integrated mission of education and research. This September we welcomed almost 2,000 new graduate students to the Institute. The Graduate Students Office (GSO) continues its longstanding support for its community with a new pilot program for Graduate Community Fellows. The Fellows will strengthen the experience of our graduate students by working on a range of projects including: addressing issues confronting international and women students; diversity initiatives; and the Graduate Student Life Grants program. Over the course of the last semester and the summer, several individuals have joined the Institute's academic and administrative leadership. Most recently, we announced the following appointments: Wesley Harris, Charles Stark Draper Professor of Aeronautics and Astronautics and current head of the Department of Aeronautics and Astronautics, and Barbara Liskov, Ford Professor of Engineering in the Department of Electrical Engineering and Computer Science, as Associate Provosts for Faculty Equity; Marc Kastner, the Donner Professor of Science, as Dean of the School of Science; Steven Lerman, the Class of 1922 Distinguished Professor of Civil and Environmental Engineering, as the Institute's Dean for Graduate Students; Subra Suresh, the Ford Professor of Engineering in the Department of Materials Science and Engineering, as Dean of the School of Engineering; and David Schmittlein, from the University of Pennsylvania's Wharton School, joined MIT on Oct. 15 as the John C Head III Dean of the MIT Sloan School of Management. I thank Steven Eppinger, General Motors Leaders for Manufacturing Professor of Management and a professor of engineering systems in MIT's Engineering Systems Division, for serving as interim dean of Sloan during the search process. In addition, Deborah Loeb Bohren, former executive vice president at the Washington, D.C., public affairs firm of Powell Tate, has joined us as Vice President for External Affairs. With MIT's extraordinary intellectual resources we have a responsibility to turn our attention to matters of global importance. We enjoy astonishing breadth and depth of expertise among the members of the MIT community, and when our collaborative efforts focus on the world's most complex problems, I am filled with great optimism that we will make progress on many of these challenges in our lifetimes. To this end we have established a new International Advisory Committee (IAC), co-chaired by Associate Provost Philip Khoury and Claude Canizares, Vice President for Research and Associate Provost, to help develop strategies in countries and regions that call increasingly on MIT's international efforts. One of the first such areas is India, which I will visit in November to meet with many of our alumni and leaders of industry to discuss important trends and to explore opportunities for collaboration. Several international ventures are well under way. Here, I will highlight one, the Legatum Center for Development and Entrepreneurship. The center will provide fellowship support for aspiring entrepreneurs to spend two years at MIT acquiring the knowledge and skills required for successful business development and civic leadership in developing nations around the world. Graduate students enrolled in programs across the campus will be eligible for Legatum Fellowships. With so much activity, it is difficult to keep track of our news and progress. One way to learn about the Institute's international activities is to visit the new GLOBAL MIT web site (http://global.mit.edu), which serves as a compendium of MIT international activities in research and education, and also provides information about internship and community service opportunities. The searchable database allows users both inside and outside of MIT to learn about the full range of MIT's international engagement. As many of you know, few topics affect so much of the world, and require such collaborative action and wisdom for a solution, as the challenges of energy and the environment. Since its official launch a year ago, the MIT Energy Initiative (MITEI) has worked to bring the Institute's researchers together with results-oriented industry partners and government officials to transform the world's energy marketplace. There is no shortage of interest and enthusiasm for our efforts: 15% of our faculty have authored or co-authored white papers for MITEI, and there are literally hundreds of student activities with energy and environment as their focus. Earlier this month we announced more than $50 million in new support for MITEI from several inaugural industry research partners including BP, Ford Motor Company, Ormat Technology, and an individual, Mr. Phil Rettger, an entrepreneur in solar energy. In addition to funding research projects ranging from coal conversion to geothermal technology, these partnerships will support more than 100 student energy fellowships over the next five years and will provide funds for seed grants for innovative projects. More news on projects and partnerships will follow in the weeks and months ahead. Earlier this month we announced that David H. Koch (CE '62) has committed $100 million to establish the David H. Koch Institute for Integrative Cancer Research, which will leverage MIT's dual strengths in engineering and the life sciences to address some of the most intractable puzzles in understanding and curing cancer. We also announced the creation of the Novartis-MIT Center for Continuous Manufacturing, a partnership that brings together the industrial expertise of Novartis with innovative science and engineering from MIT's Departments of Chemical Engineering and Chemistry to transform the pharmaceutical manufacturing process. The prudent stewardship of our resources and the generosity of our donors are integral to the Institute achieving its priorities. The new financial foundation for MIT's future, rolled out with the departments, labs and centers by the provost and executive vice president last year, will allow us to embark in new directions by liberating unrestricted funds for investment in our human capital and physical infrastructure. This year's 22.1% endowment return will add further financial strength to our education and research priorities for both today's and tomorrow's scholars. I would like to acknowledge the success of the Institute's staff in Resource Development and the Alumni Fund, who set new fundraising records this year. The Alumni Fund had more donor participation and more dollars donated than ever before, with more than 33,300 alumni contributing almost $42 million. Three classes (1927, 1962 and 1972) set new reunion giving records and the Class of 2007 also set a new Senior Gift record (surpassing the record set by 2006) with 52% of the class participating. Opportunities for collaboration between the Alumni Association and Resource Development will amplify through the upcoming move of both offices to 600 Memorial Drive later in the year. Deep expertise in multiple disciplines, combined with a desire and drive to collaborate, are hallmarks of MIT. There has never been a more important time, or a more promising moment, to invest in scientific research, and we are enormously grateful to all who have contributed to furthering our mission. The rapid pace of activity over the last few months creates momentum for the academic year ahead. Significant progress has been made in the new initiative on faculty race issues since the spring. 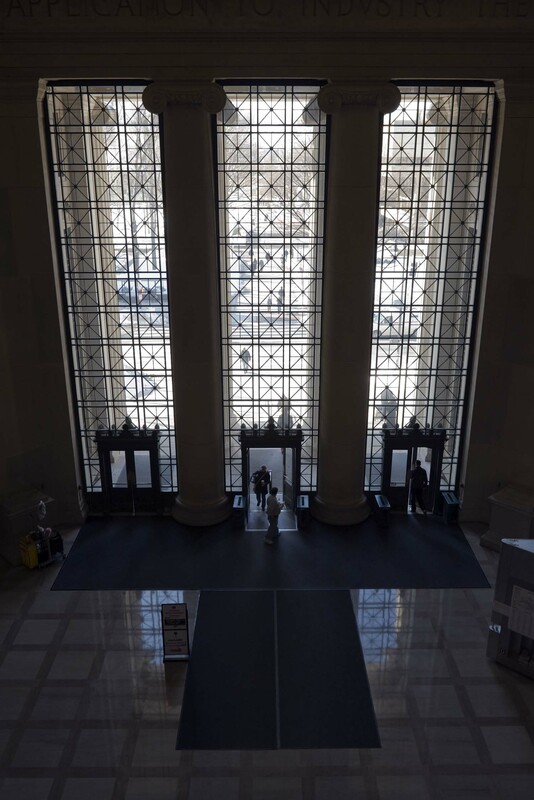 The Race Initiative, charged by the provost, released a preliminary report this summer, "Initiative for Investigation of Race Matters and Underrepresented Minority Faculty at MIT," that provides a framework for the next steps in this important initiative. I know the MIT community shares my commitment to strengthening the representation and improving the experiences of our minority faculty, staff and students. I also look forward to the transformations of our physical landscape in the months ahead. Establishing a model for state-of-the-art infrastructure in the Bosworth Buildings, we dedicated the Green Center and the renovations for Physics, Material Sciences and Engineering and the Spectroscopy Lab this month. Meanwhile construction has begun for the Media Lab extension that will provide much needed space for the School of Architecture and Planning. Both of these projects will bring people together in new ways to do great things in spaces that foster collaboration across campus. Work on the new building for the MIT Sloan School also began this summer, which includes excavation for an underground garage that will accommodate 425 vehicles. When complete, the new facility will give MIT Sloan vastly improved space for contemporary teaching and research. In our enthusiasm to celebrate all things new, we must also pause to remember our traditions and history. In the spirit of celebrating the things we hold in common with previous generations, more than 400 staff, students, and alumni gathered on Killian Court in June to witness the re-lighting of the iconic Great Dome of Building 10, made possible by a generous contribution from an anonymous donor. This transformation of the Cambridge skyline marks a return to tradition last observed over three decades ago, but with an important innovation: The new lighting system incorporates energy-saving fixtures, making it possible to light the entire dome using the same amount of electricity needed to run two hairdryers. Members of the Class of 2011 will walk many of the same halls their predecessors did close to a century ago, and so we must not forget the Institute's accelerating pace of discovery is built upon strong historic foundations. The trees across the river have started to turn to yellow, and the year's possibilities beckon us. I look forward to our work together.